In pursuit of this full certification awarded at the Silver level, MBDC worked closely with the Aqdot team to optimize the Oderase product across Cradle to Cradle Certified™ attributes: Material Health, Material Reutilization, Renewable Energy, Water Stewardship, and Social Fairness. The product excelled in Material Health, achieving Platinum level recognition for its simple and water-based formulation — and use of Aqdot’s patented odor-eliminating technology Aq™Bit, which captures bad odors and erases them from the air. 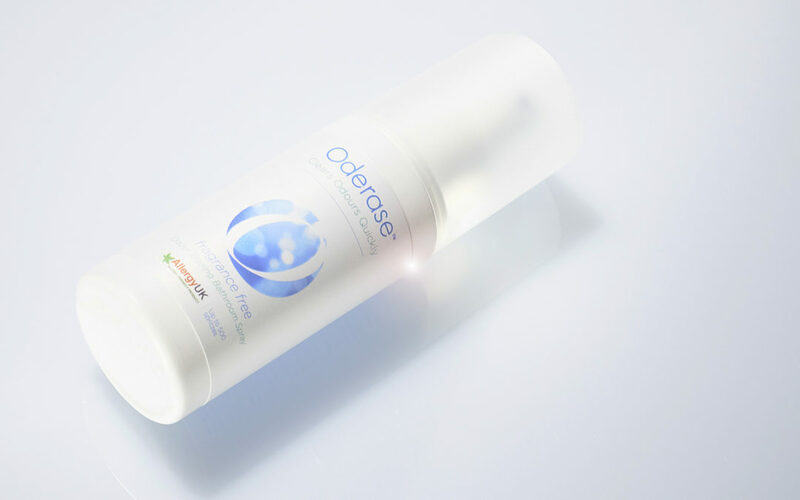 This ability makes Oderase different from other air fresheners because it is effective at erasing bad odors without the need to mask them with other chemical fragrances. Adding in additional chemical fragrances can at times produce unwanted side effects to human and environmental health. For more information about Oderase and Aqdot, visit www.oderase.co.uk and www.aqdot.com, and to learn about the Cradle to Cradle Design™ Framework and how to get on the path to certification, contact Jay Bolus today.